Do you feel overwhelmed trying to fit everything into your homeschool day? Let’s face it: homeschooling moms are busy. All day long you’re parent, counselor, boo-boo kisser, chef, and chauffer—and then you need to teach your kids all the subjects they need to give them a well-rounded education. Sometimes, it might feel like it’s enough to bury you.  Are you juggling so many different balls it seems like it’s inevitable something is sure to topple? Maybe you’re tired and ready for a break, but your kids are energetic little monkeys and need your guidance getting through the school day…every step of the way. You work so hard to get through everything they need to learn, but you still fear that maybe you’re missing something. Maybe… you’ve worked so hard with keeping on track with academics that you find a hard time fitting the Bible (the most important piece of their education) into the day. Ouch. …but you can use tools to streamline your day, make learning more seamless, and easily fit the Bible into different areas of your child’s education. Workbooks combining several subjects into one simple activity a day. The Write Through the Bible series of workbooks are so much more than just another handwriting workbook. 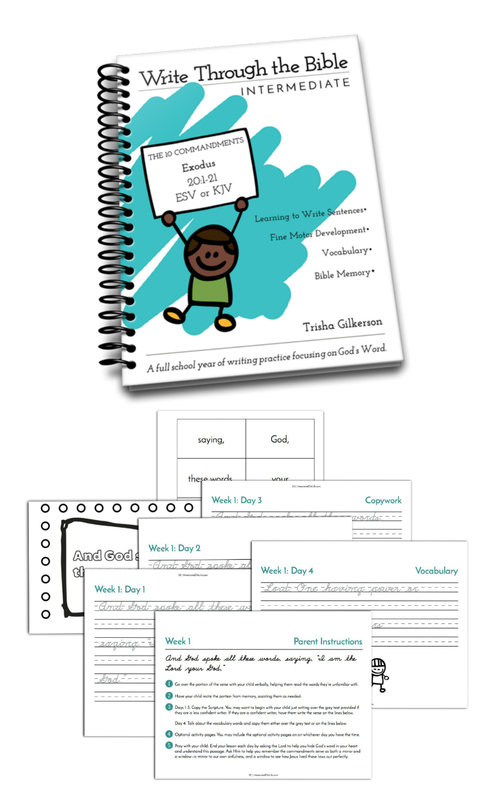 They’re a workbook that will ease your school load by integrating other subjects and help your child memorize a long passage of scripture throughout the school year! 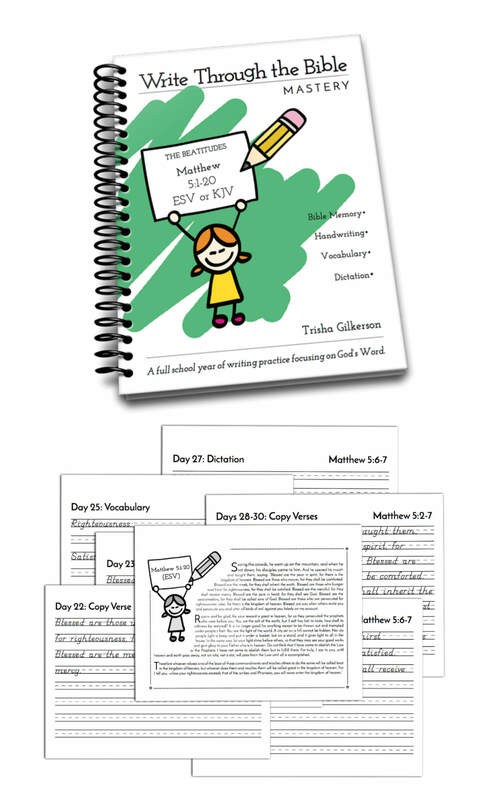 Whether you have a 4 year old, a 7 year old, or an 11 year old, there is a Write Through the Bible workbook for you. 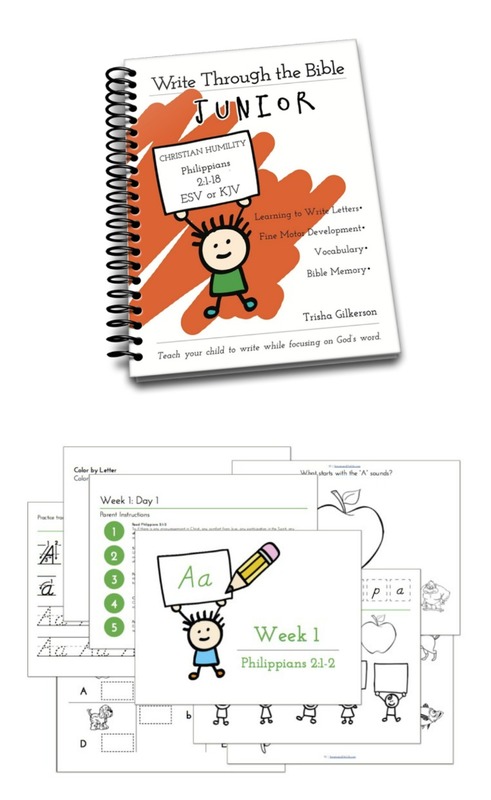 With three levels of workbooks, you can find workbooks perfect for all of your children. In just 10-15 minutes a day, 4 days a week, you can add all this to your child’s education! These workbooks are filled with fun, engaging activities for the youngest learning writers that will help develop their fine motor skills. These workbooks introduce the alphabet as children learn to memorize a lengthier passage of scripture over the course of a school year. Weekly lessons are based on 4 school days per week. 1. Each day parents are provided with a parent instruction page that gives them step-by-step instructions. 2. You begin each lesson reviewing the Bible passage indicated on the instruction page with your child. 3. Day 1 you’ll introduce a new letter. Day 2 you’ll talk about a vocabulary word of the week. Day 3 you’ll use the short paragraph provided to explain the Bible passage. And on Day 4 you’re provided with a few discussion questions you can use to talk about the Bible passage. 4. Each day, your student will have a handwriting worksheet and a fun activity page that are designed to improve fine motor coordination—all using everyday supplies like scissors, crayons, and dot paints. PLUS…letter and Bible memory review is built-in throughout the school year. Teaching your little one doesn’t get much easier than this. 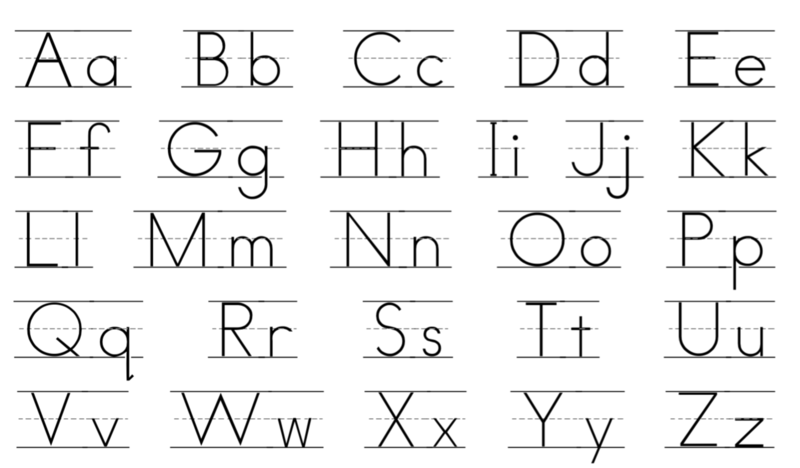 See samples of a Junior workbook in ball-and-stick, D’Nealian, or cursive. Grab your junior book now! Students will use these (mostly) self-guided workbooks to develop their fine motor skills needed to perfect their handwriting in addition to developing their vocabulary. All of this is done as they work towards memorizing a long passage of Scripture through the school year. 1. The first 3 days of each week students will either trace or copy a short passage of scripture. 2. On the 4th day of the week, students will either trace or copy a vocabulary word and definition. 3. Each week students receive two activities. They’ll have a coloring page that can be saved to create a jumbo poster of the passage they memorized at the end of the school year. They’ll also have Bible memory cards they can cut out and save to help them memorize the passage they’re working on. These activities help to continue develop those necessary fine motor skills. Bonus! The book begins with 15 optional review days. Is your child feeling a bit rusty on knowing how to develop all their letters and putting them into words? We’ve got you covered. Just have them use these review pages to help them build letter-writing confidence! If you’re looking to move your child towards more independence in their school work, this is a great way to start! See samples of an Intermediate book in ball-and-stick, D’Nealian, or cursive. Grab your intermediate book now! 1. For three days in a row your student will copy a section of scripture. 2. They’ll have 1 or 2 days where they’ll have vocabulary words to look up in a dictionary and write the definition (or if a dictionary is too intimidating, they can use the handy appendix at the end of the workbook which has all the words and definitions). 3. On the next day, you’ll dictate the passage of Scripture to their child to help them work on spelling, punctuation, capitalization, and listening skills. 4. The cycle finishes with review or prior sections of Scripture before moving on to the next section. The student continues to follow this cycle until they complete the entire passage of Scripture! You can’t go wrong with this easy to implement activity that takes just 10 minutes per day. See a sample of a Mastery book in ball-and-stick, D’Nealian, or cursive. Grab your mastery book now! All full-year Write Through the Bible™ workbooks are available in both English Standard Version (ESV) and the King James Version (KJV). Spiral Bound or Digital? The Choice is Yours! We know the needs of parents are varied. If you’re looking for a digital download that you can print off and use again and again, that option is available for all of our books. If you’d rather not mess with the hassle of printing all those pages, our Junior and Intermediate books are all available in spiral bound (plus they have perforated pages). Four of our Mastery level books are available in spiral bound with more editions coming soon! I don’t think my child can memorize a long passage. Is this still worth doing? You’d be surprised how, with just a little repetition, your child can memorize large portions of the Bible. We’ve seen our kids memorize long passages of scripture as young as 4 and 5 years of age, and while we think our kids are pretty swell, they don’t have any super-memorizing powers. All that said, even if your child doesn’t memorize the entire passage, even getting part-way through is beneficial. Which handwriting style should I start with? While there has been some research done on what’s best to start with, none of the research is definitive. Quite frankly, there are benefits and drawbacks to each one. That leaves it up to you and your child. Choose whatever works best for your family and individual child! Which passage should I start with? That’s up to you! If you have students in all 3 levels, we’d suggest starting with the Christian Humility book (Philippians 2:1-18) since this book is available in all 3 versions. Otherwise, there isn’t a right or wrong answer. Check out the passages and decide what you think your family would like to work towards memorizing through the school year. There’s lots of Bible copywork out there. Why use Write Through the Bible? Write through the Bible is more than just copywork because it integrates other subjects. Furthermore, there’s lots of copywork out there where your child can write a verse here and there, but we don’t know of any other curriculum designed to help your child move through a longer passage of Scripture in a year. Can I use this with more than one child? All of our workbooks, both digital and softcover, are licensed for family use. You may make copies of any of the pages for all the kids in your family whether you have 2 or 22. How long are the books? Will they really last me through the whole school year? If you use them as they are designed, they will last all school year. The Junior workbooks include 32 weeks worth of lessons. The Intermediate books have 30 weeks worth of lessons. The Mastery books range from 29-35 weeks. I’m afraid the lines will be too small/large for my child. What size are they? We have standardized the line sizes in all of the books. • All of the Mastery level books* have line size of standard wide ruled paper (11/32 inches) often seen used by students in 4th grade and up. These books do continue to use a midline because we’ve heard from many parents this has been a valuable asset towards helping students with their handwriting, even in some of the upper grade levels. *Please Note: Mastery level books are currently undergoing a facelift. When first created they did not all have similar sized lines, but once their renovation is complete they’ll all follow this pattern. Currently Philippians, Exodus, and Matthew have been updated and will be available in spiral bound in March 2017, and are currently available for pre-order..